For generations feather filled pillows have been a European tradition. Downia continues this tradition making this duck feather filled pillow encased in a soft cotton twill fabric. Down proof cotton cover. Packed in printed PE bag. 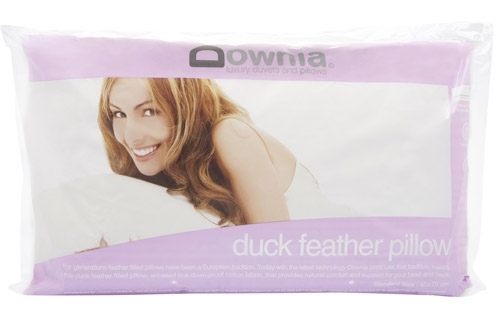 Indulge yourself, night after night and enjoy the best in affordable luxury bedding with duck down and duck feather pillows, quilts, and duvets from Downia. A rich history of over 100 years in Australia. The Downia Group of Companies, has its heritage dating back to 1911, when the first feather and down processing plant was established at Glebe Sydney, Australia, and in 1937 the operating company, Australian Feather Mills Pty Ltd (AFM) was incorporated. 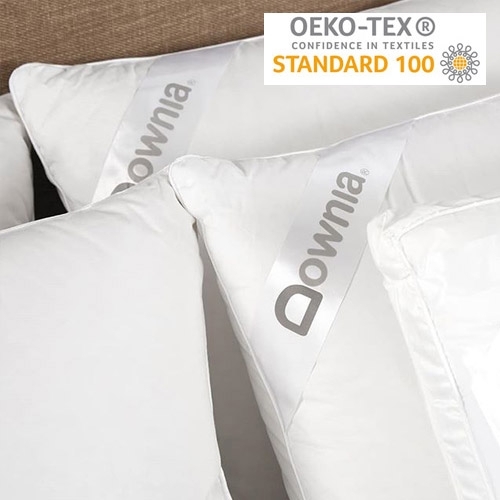 Today the Downia Group of Companies are leading suppliers of a complete range of bedroom products that principally use feather and down fillings.